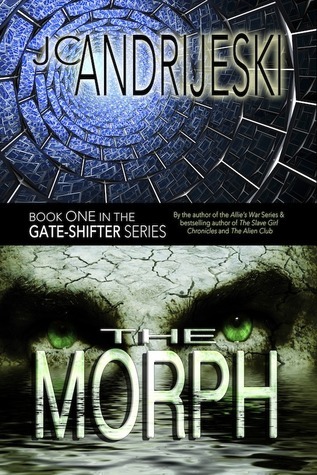 An unusual shifter romance in the new adult category, the Gate-Shifter series centers on shifters from another world altogether, called morph. Morph and Earth humans were never meant to cross paths, until Nihkil Jamri tries to save private detective, Dakota Reyes while surveying Earth for his human masters from another dimension, and ends up pulling her into his dimension with him. Part urban fantasy, part paranormal romance, part science fiction adventure, the Gate-Shifter series explores alien romance with the least likely candidates imaginable. Dakota Reyes, a twenty-something private eye who specializes in what she calls ‘hard-to-prosecute’ cases, finds herself in a dark alley one night, about to end up dead at the hands of a young Ted Bundy in training…that is, until a lost, shape-shifting alien named Nihkil rescues her, and inadvertently takes her home with him. The problem is, his home is in a different dimension, and Dakota has no clue how to get back to Seattle, or Earth, or even her own time period. She finds herself bound to her rescuer, Nihkil, through his ‘lock,’ a quasi-biological structure that controls whether he can shape-shift, among other things, which he needs to be able to do in order to get her back home. Only Dakota has no idea how to open Nik’s lock, and the longer she spends in his world, the more forces begin to align against them, trying to prevent her from getting home.